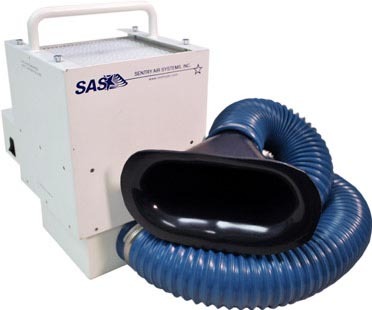 The Python Portable Floor Sentry combines quiet operation, energy-efficient technology, and a unique design for highly effective fume extraction. 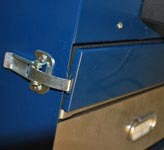 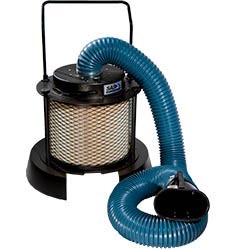 This fume extractor is best used in hard-to-reach applications where a long hose is needed [i.e. 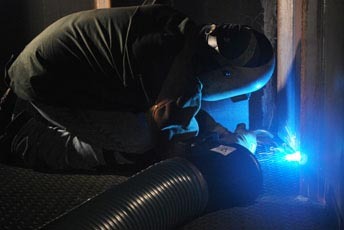 tank welding]. 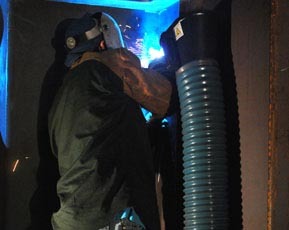 The included 12-foot long (optional 25-foot hose also available), flame-retardant flex hose features a magnetic capture hood with a handle that enables the operator to attach it to a surface without having to manually hold the hose in place while capturing dust, smoke, and/or fumes. 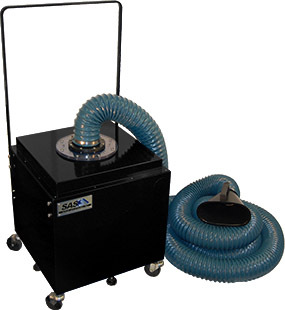 Other features of this system include quiet operation, heavy-duty casters for convenient mobility, and high efficiency filtration. 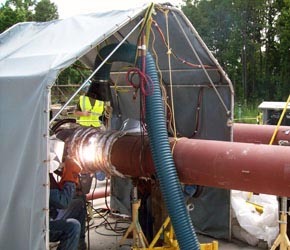 Filtration media is selected depending on the application being performed. 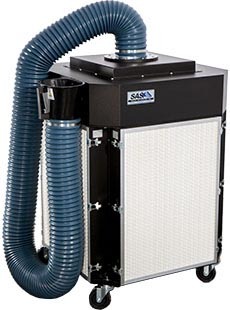 Typical media includes: HEPA [up to 99.97% efficient on particles 0.3 microns and larger, ASHRAE [up to 95% efficient on particles 0.5 microns and larger], Activated Carbon, and specialty-blended filter media [i.e. 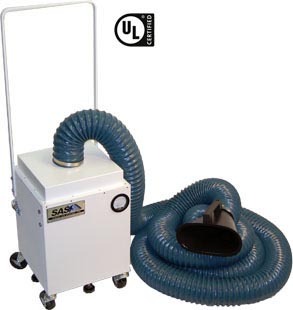 Acid Gas, Mercury, Aldehyde, Ammonia]].